Continuing from Part One, this guide looks at helping you try and solve those design dilemmas. So hopefully that decision on the type of paint you want to decorate your rooms with will come a little easier. Need to paint a radiator? Or perhaps an iron bedstead? Maybe the floor in your living room would look fabulous with painted boards? Whatever you need, we've found a paint that's perfect. Various floor paints are available for different types of floors such as concrete, wood and vinyl, as well as specific paints for garage floors and also doorstep paint. These paints are extra durable to cope with the daily wear and tear. For use on central heating pipes and radiators, these are tough and heat resistant, so will stand up to the high temperatures without discolouring as certain paints many do. Some ordinary gloss white paints turn yellow on hot radiators; but radiator paints are specially formulated, so will not only resist yellowing, but also prevent any rust. These special paints contain an additive to provide a fire-resistant quality; they do not resist fire completely, but have a greater flame resistance than ordinary paint and will reduce their spread. This is the ideal paint for iron railings and for external gutters, pipes and tanks. It's an economical coating - providing protection against moisture and corrosive atmospheres on both steelwork and timber - it's usually quite thick and black. It's perfect for all areas where high water resistance is needed and appearance doesn't matter. Bituminous products are the best choice for 'inside' gutter paint, although the outside can be painted with a primer and a normal gloss. These paints offer a coating suitable for use on any surface with a high temperature. Typical items for these formulas include boilers, chimneys, gas fires, wood burning stoves and barbecues. Period paints can offer traditional and historic colours, giving a chalky matt finish ideal for creating an authentic period feel. They can be found on the market in emulsion paint for walls and eggshell for wood and metal. Period formulas are often viewed as a good paint for furniture. Creating paint effects and using special metallic paint is easier than ever before with easy-to-use, water-based paints available today. These can create texture and style in any home. There are also wide ranges of exterior grade paints available, which can cope with all weather. Limewash, which is made from slaked lime and water, is excellent for porous surfaces. A good paint for brickwork and render, and gives a chalky finish. 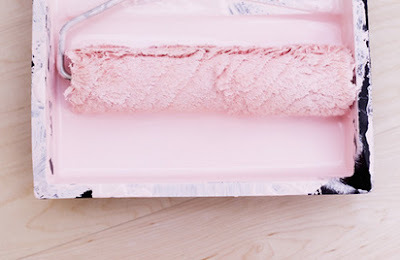 It can be used as paint for a breeze block wall. Microporous Paint is a sensible choice for new untreated exterior timber, because it keeps out moisture, but allows wood to breathe. And finally top quality Multi-Surface Paint can be used on everything - as a paint for plastic, or even plaster and masonry.